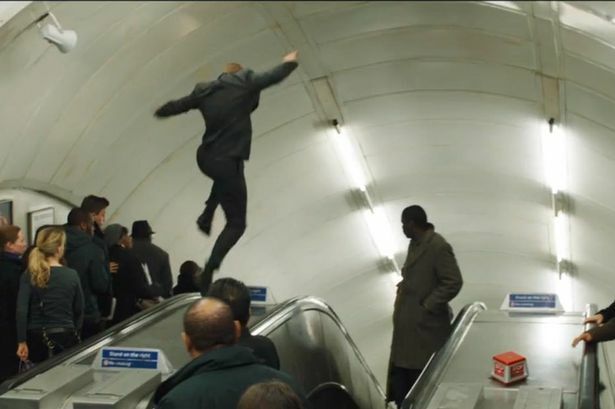 Bond on the Tube - Skyfall - Tubefall? 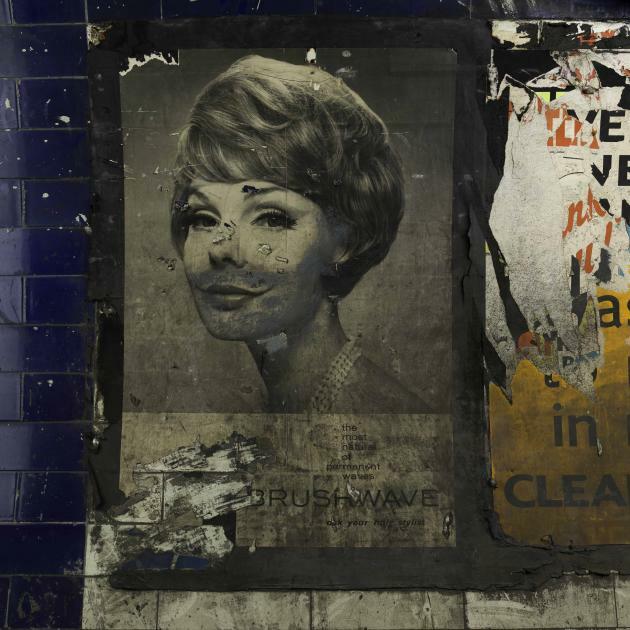 "Londoners who have viewed the latest James Bond offering, Skyfall, might have felt there was something not quite right about the depiction of the Underground. Bond pursues Silva in the subterranean passages of London. 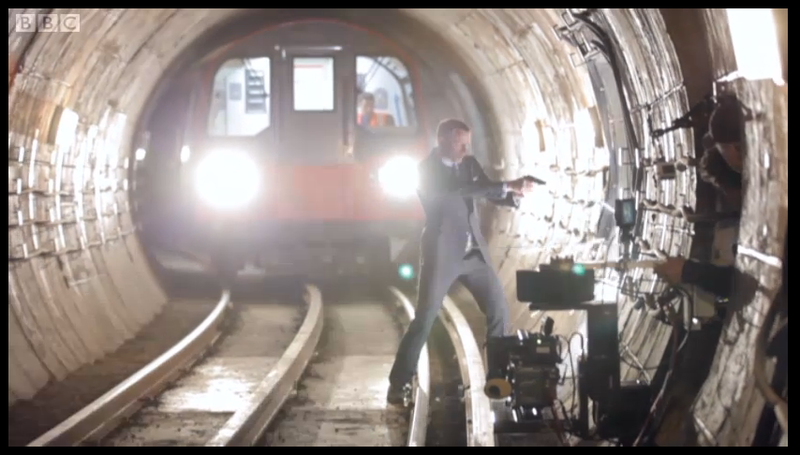 From headquarters, Q tells him that he is near the Tube: “The District Line is closest.” Bond emerges in a single tunnel. A train bears down on him, which he evades. But it appears to be 1996 Stock. 007 then finds himself in Temple station. Green and yellow lines adorn the platform walls to denote Circle and District service. On board the next departing 1996 Stock train, the carriage number is 96069 and the line diagram grey. 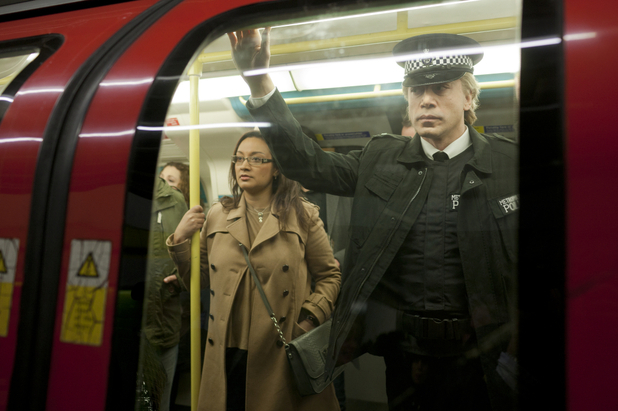 The Jubilee Line is incriminated. Silva alights at the next stop, Embankment. Bond gives chase again and soon the two of them are back in tunnels. Silva blows a hole in the roof through which a train crashes and returns to Embankment; the entrance can be seen in the background as a police vehicle picks him up. Bond, having survived the wreck, runs beneath the Tube to Westminster, where he emerges from an exit and runs up Whitehall. The station progression is correct, but really, anyone who has ever travelled on the District Line should notice the glaring errors. The whole thing just looks wrong. District Dave’s passengers note that Bond is required to end up at Westminster in the story. Thus, setting it on the Jubilee Line would have made much more sense; Bond could have been put at Southwark, chased Silva through Waterloo and then gone to Westminster. It is a shame that the production team did not appreciate the detail of famous British transport in the iconic franchise of a British secret agent." Have you seen Skyfall? Did anything about the Tube's depiction jar with you? Or were you happy enough to let the film makers have creative licence? For the third year in a row members of the train drivers' union Aslef are staging a Boxing Day walkout in a row with London Underground over pay. A statement on Aslef's site aims to simplify the row by saying: "What we are asking for is not complex. We want a volunteer service on Boxing Day with those working getting more than flat time. An enhancement for this day will ensure members will be able to swap duties with someone who wishes to work". Aslef have blamed LU management for not offering anything constructive to resolve the dispute. In an acknowledgement of the disruption that will be caused, Aslef ended their statement with "We don’t expect support or gratitude from the public who will be inconvenienced on 26 December. But we hope there will be understanding". As further strikes are planned on 18th and 25th January 2013, there will probably less understanding as the inconveniece to the travelling public continues into working days. If you were planning on using the Tube on Wednesday, you'd be very, very wise to find alternative arrangements. 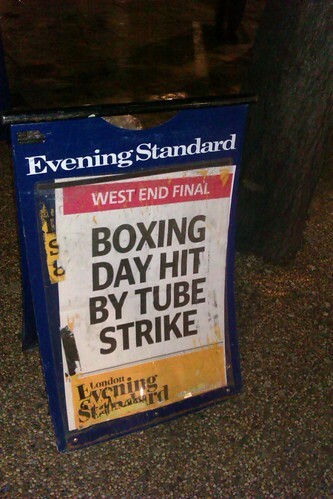 London Overground doesn't run on Boxing Day anyway, so that's not going to be an alternative. However, buses, the DLR, Tramlink and some River services will all run. Additionally TfL have put out a PDF of services they expect to run. Howard Collins, London Underground's Chief Operating Officer, called the action of Aslef members "scandalous" and said: 'Train drivers are paid a salary that reflects some Bank holiday working, but the ASLEF leadership is demanding to be paid twice for the same work and has rejected our attempts to resolve the matter. 'The scandalous actions of the ASLEF leadership are an attempt to hold Londoners to ransom, and demonstrate a wholesale disregard for our customers - making life harder for shoppers, sports fans, retail workers and businesses amongst others at an important time. They also show a disregard for the thousands of transport staff who will be working hard to help people get around the Capital." As usual with all strikes it's always best to check TfL's website and local TV and radio news for up-to-date travel information before you travel. 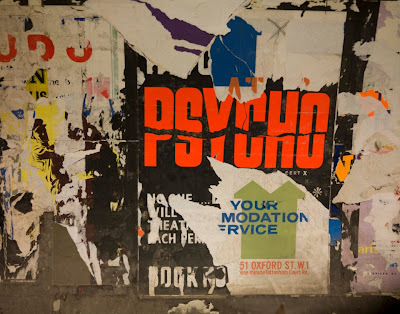 An amazing display of posters from the 1960's discovered at Euston Underground Station opens at The Red Gallery on 12th December and runs through until 28th February 2013. Photographer Andrew Stanney, who is in-house photographer of The Old London Underground Company, started taking photographs in 2009 and became fascinated with "ghost" or abandoned Tube stations. Stanney's passion turned to persuasion. He managed to get Hasselbad to lend him a £30,000 camera in return for use of some of the pictures and also got TfL to take him down to view the lost ads. He echoed the feeling that I myself had when being on a Tube platform that few other people have stepped on in recent years (I was lucky enough to have a tour of Old Brompton Tube station): “There was a real eeriness to it. You are above the new tunnel and you can hear the trains and feel the vibrations. When the station was refurbished, they just shut the tunnel off and it hasn’t been touched since. Everything is as it was, which is great for me as an artist." Now his exhibition records the "secret museum" of the lost ads. Red Gallery dramatically describe the display. "Here are the remnants of communication, silent, their voices irreparably changed, occupying depopulated spaces. They are function mutated with age. Silent witnesses to the millions of that once past, they haunt their subterranean world, glaring patiently from the walls. As posters, they insist they should be taken as reality, but are too damaged to make a cohesive statement." It's beginning to feel a lot like Christmas on the London Underground. One of the biggest signs of Xmas on the Tube is the arrival of the posters for free New Year's Eve Travel. 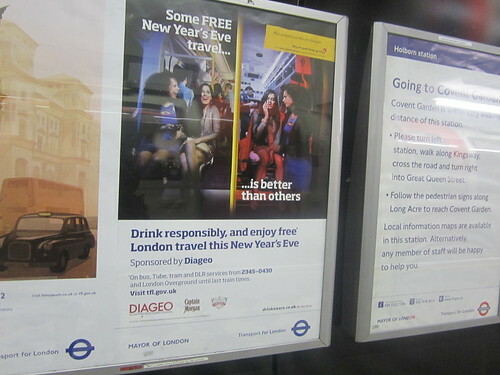 Once again, booze company Diageo are sponsors of this year's free New Year's Eve travel on buses, Tube, Tram and DLR services from 23.45 - 04.30 and on the London Overground until last train times. This is the second year of a three year deal with TfL to sponsor free travel on New Year’s Eve. I saw my first ad this morning and the ads will run into the New Year. For the first time this year Diageo will be sponsoring free travel in Edinburgh for Hogmany celebrations. Look out for special Oyster card holders that will handed out at Central London stations re-inforcing the message of "responsible drinking". They'll feature top tips from Drinkaware for a great night out in the run-up to Christmas so you don't end up with the ambulance ride or "booze bus" journey as shown in the poster. 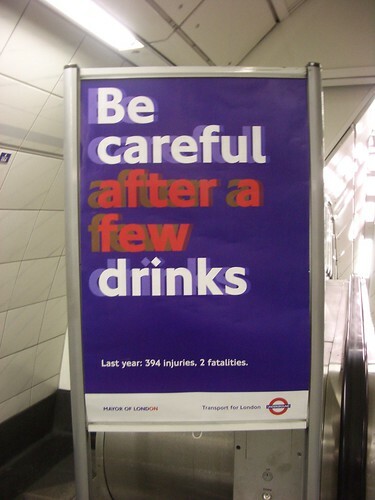 TfL are also running their own posters about watching what you drink when travelling on the Tube, in an attempt to reduce the amount of alcohol related injuries. Finally, George Osborne has given the financial backing to ensure that the Northern Line will be extended to Battersea. In today's Autumn Statement the chancellor said “I today confirm a billion pound loan and a guarantee to extend the Northern Line to Battersea Power Station and support a new development on a similar scale to the Olympic Park". It's part of a multi-billion-pound programme of funding designed to "get Britain's economy moving". Along with the Tube stations will come a redevelopment of Battersea Power Station, which will include shops, office space and leisure facilities. The Treasury will provide a guarantee that allows the Greater London Authority (GLA) to borrow up to £1 billion from the Public Works Loan Board, at a preferential rate, to finance the construction of the extension of the London Underground line. Boris Johnson was delighted and said "after months of intensive discussions and hard work we have got the go-ahead from Government on financing an extension to the Northern Line. It will be an incredible confidence boost for developers preparing to invest there and it will also be a considerable boost for local people who will benefit from the new Tube link." 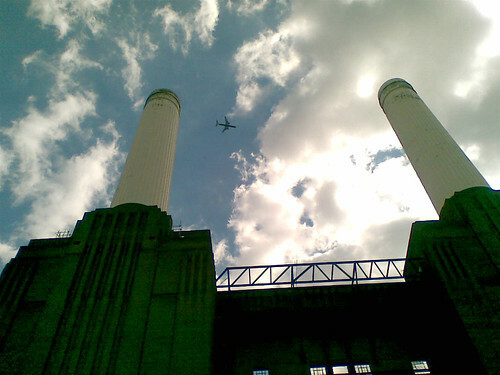 Two new stations at Nine Elms and Battersea Power Station will be opened. 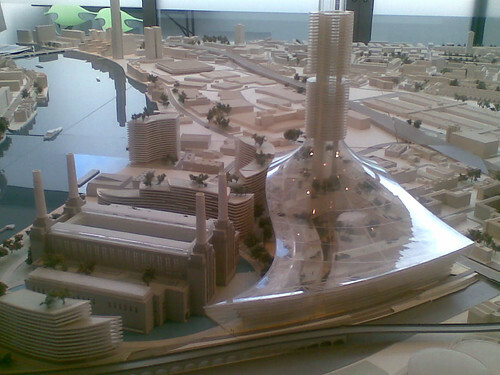 Earlier estimates were that the first phases of work to develop Battersea would be completed by 2016. What do London Underground, Jane Austen and Doctor Who have in common? Next year they're all going to have commemorative Royal Mail Stamps. 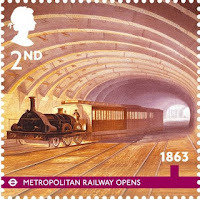 As part of the 150th anniversary celebrations for the Tube in January 2013, Royal Mail will be issuing eight new stamps. 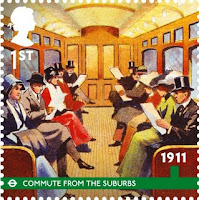 The Tube was last featured on postage stamps in 2009, when Royal Mail highlighted the Tube map as a British Design Classic. 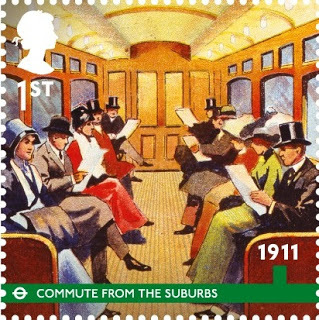 The first six stamps feature the system from 1863 to 1999 and the remaining four cover a selection of London Underground posters through the years. The six historical stamps, designed by Hat-Trick Design, show a timeline of the development of the London Underground from the early Metropolitan Line service with its steam driven trains to the most modern Jubilee Line Station, Canary Wharf, designed by Sir Norman Foster. The poster stamps each show three posters including work from Tom Eckersley, Edward McKnight-Kauffer and Abram Games. 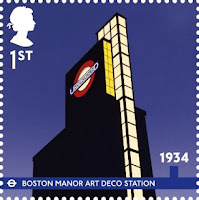 Interestingly enough Abram Games was also a stamp designer himself. “Both London Underground and Royal Mail share a rich and extraordinary design heritage, so it’s a wonderful opportunity to celebrate a dozen classic Underground posters, featuring several artists who also designed posters for the GPO.” Check out Stamp Magazine to see all of the stamps. Other "everyday" items in production to help celebrate the London Underground's 150th birthday are a special Oyster card (available from the middle of this month) and also a £2 coin (available from mid/late January 2013). I've already seen some of the commemorative stamps available on eBay for those eager beavers who can't wait to get hold of them. 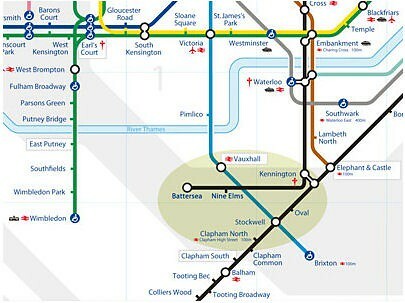 From 9th December 2012 London will have another Circle Line (kind of). From around 7am you'll be able to travel on the new London Overground extension from Surrey Quays to Clapham Junction, which will be completing the long awaited outer orbital railway. Will this look like a large irregular circle on the map? TfL has built a new 1.3km of track just south west of Surrey Quays station which links the East London line section of London Overground with existing track just north-east of Queens Rd Peckham. The route will run south of Surrey Quays station following a disused railway viaduct, past Millwall Football Club rising over Surrey Canal Road and along the edge of Bridgehouse Meadows before joining the existing National Rail lines at Old Kent Road (between South Bermondsey and Queen’s Road Peckham stations). The diagram above shows how £75 million link will join Clapham in this huge circle. Although you won’t be able to travel the full route on one train though – you’ll need to change at both Highbury & Islington and Clapham Junction, and often Willesden Junction, to complete the circuit. The Department for Transport has committed £40 million towards the £75 million cost. 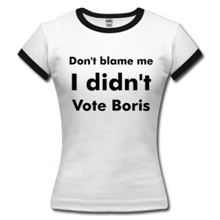 Boris and TfL have contributed £15 million. The remaining £20m has been paid by Network Rail. The new connection has led to the hire of 48 new drivers and five extra train support employees. Six four-car trains will be required to run the 4 trains an hour service. It's estimated that 12.3m passengers will use the service each year. There's more facts and figures about the extension on TfL's site. There is a new Tube map coming out next week, which will doubtless show the extension. 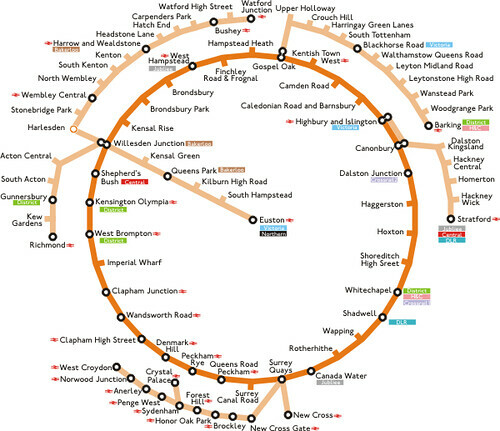 However, particularly liked a new "fantasy" Tube map by Oliver O'Brien that puts all of the circles in perspective. 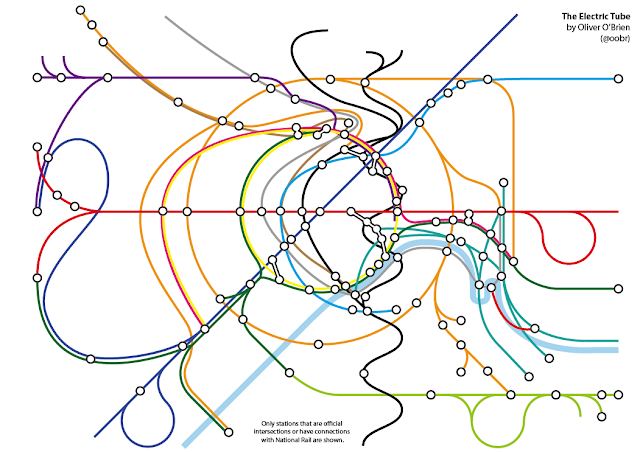 He said "My starting principles for the diagram were concentric circles for the orbital sections of the Circle Line and the Overground network, and straight lines for the Central and Piccadilly Lines, with the latter two converging in the centre of the circles. I then squeezed everything else in. I realised that the Northern Line’s Bank branch passed the Circle Line three times so was going to need something special, so I added a sine wave for this section, and extended this north and south as much as possible." 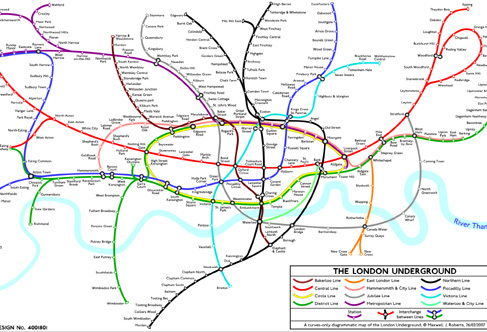 It's another "Curvy Tube" map which it would be amazing if TfL decided to adopt one day. You may remember Max Roberts' curvy London Underground map which has a big following (online anway) and it pretty pleasing on the eye. He originally produced this in 2007 when the East London Line was only a tiny stalk in the East and not part of the current extension. So it's interesting to see Oliver's take of the state of play as from next week. There was also another attempt to map out the full circle a couple of years ago. It's less curvy and shows how the line run as a complete circle, but again, highly unlikely to be used! For those who'd like to see a preview of the 40-minute Dalston Junction – Clapham Junction journey in real time, Ian Visits went along to last week's preview ride and has a driver's eye view. If you want to be one of the first people using the trains when they start the complete loop, the first train southbound will leave Highbury and Islington at 7.11am. Or if you want to take the nothern route get to Clapham Junction for 7.20am.